Building attractive spaces, that don’t lose sight of their function and where comfort is combined with design, is the goal of architects, interior designers and specialised companies in the industry. Versatile environments, where the boundaries between uses, materials and furniture are blurred and, above all, that seek the well-being of its inhabitants. At home, at work, in a hotel or in a leisure centre, experiences have abandoned their residual and sometimes non-existent role, to become protagonists. If, as recent studies have shown, the space we inhabit has a direct influence on our state of mind and our health, it is fundamental to create pleasant and healthy environments that we wish to inhabit. Attractive and comfortable places that, far beyond public spaces and work, start with our own home. This space brings to life its occupants’ deepest tastes and desires, and like them, it does not stop evolving. Every year Casa Decor reflects on this, which since 1992 has brought the latest trends in interior design, design and decoration to the public. 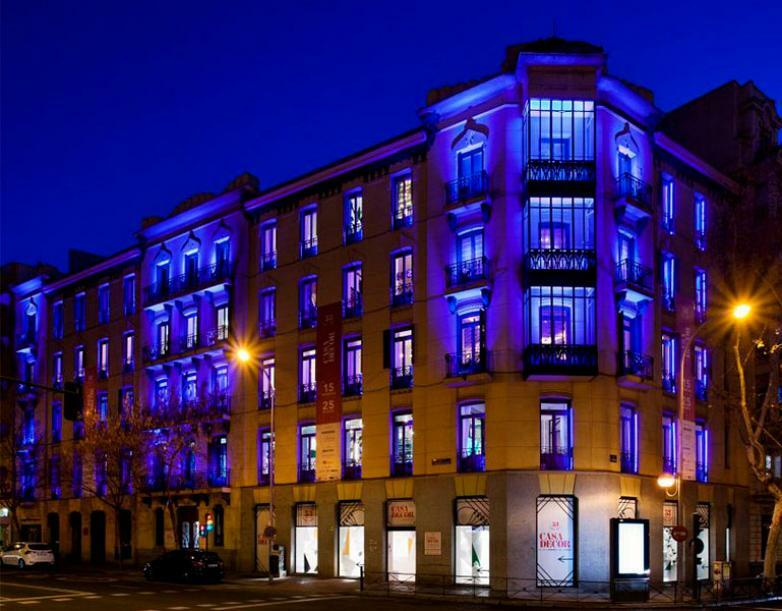 The 54th edition of this exhibition has been held at a historic and unique building in the centre of Madrid, located at the intersection of Núñez de Balboa and Juan Bravo streets and built in the 1930s under the aesthetic precepts of rationalism. In total, 2,250 square metres distributed over five floors, the last of them with terraces and views over the city, where the best decorators, interior designers, architects, designers, landscapers and artists on the national scene have come together again. The role of nature and its relationship with humans through aspects such as light, water, aromas, flora and fauna; craftsmanship and industry, or the latest technological advances, define new contemporary spaces. Environments that look to the future without forgetting their past, in a journey that partly brings back much of what the Renaissance already dealt with. And, in the face of the 'automation' that many anticipated, architecture and interior design opt for increasing 'humanism', through warm and welcoming atmospheres, where functionalism transcends its purely technical nature. The warm and golden tones, the eternal binomial of white and black, and the décor elements are combined in this edition with a chromatic palette dominated by blue and green, broken only by saturated colours and pastel shades. State-of-the-art paints from Valentine, that incorporate healthy properties for both people and the environment. All this, immersed in a mix of impossible geometries and curved shapes, where materials such as stone, wood or marble stand out. Through fluffy and rigid surfaces, architects, designers and interior designers have built aesthetic, welcoming and functional environments. This combination of comfort and functionality gives great prominence to the senses without neglecting design. Creating space is not only what can be seen, but also what can be felt. 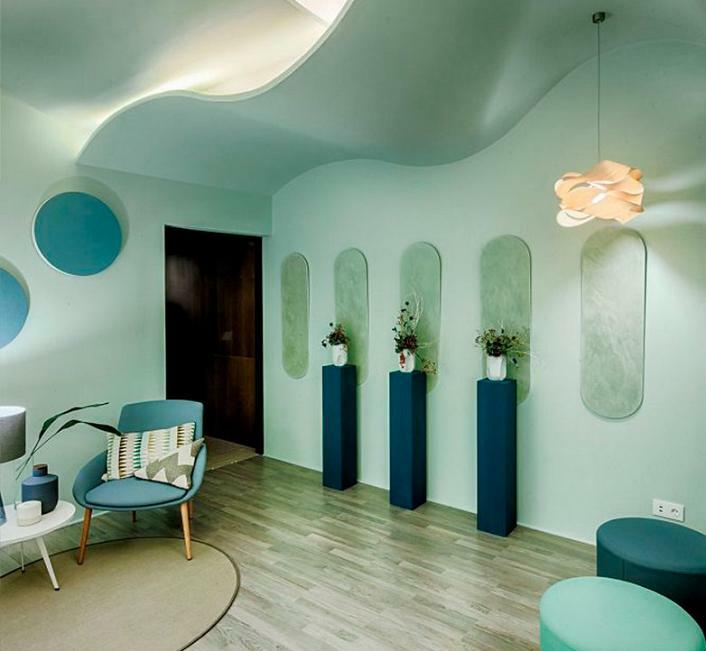 Understanding design and comfort as two essential and inseparable concepts, the students of the University school of design, innovation and technology, ESNE, have created the space presented by Saint-Gobain España for Casa Decor. The Secret Garden brings to life the work philosophy of a company that is committed to “creating comfortable spaces to live in and improve daily life, with materials and innovative and energy efficient solutions”. 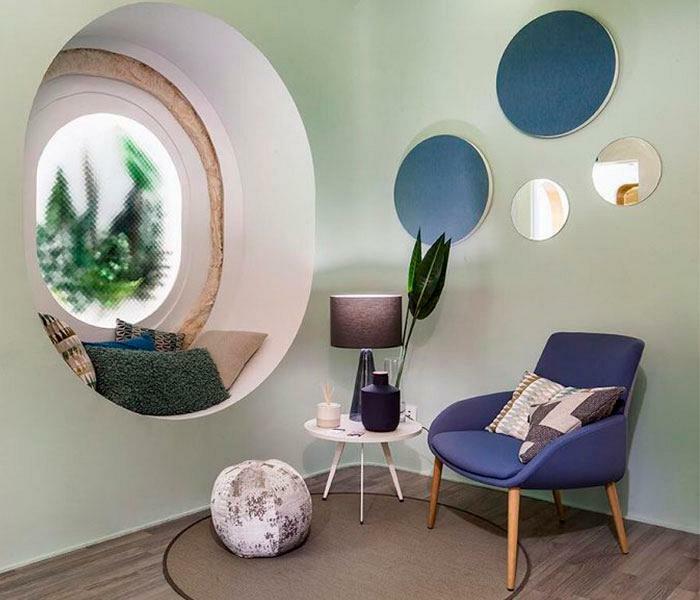 Converted into a place of relaxation and disconnection, The Secret Garden demonstrates how the ideal temperature, the absence of disturbing noises, good lighting and the use of appropriate colours are essential aspects in any home. The ESNE students used elements such as the curved seat or the corrugated roof, both built with Placo; the Ecophon acoustic ceiling, which improves the acoustics; or Isover glass wool, to ensure warmth. On a Weber continuous pavement and between glass that play with reflection and transparency, Noom and Bend from Actiu offer visitors a stop on their journey. 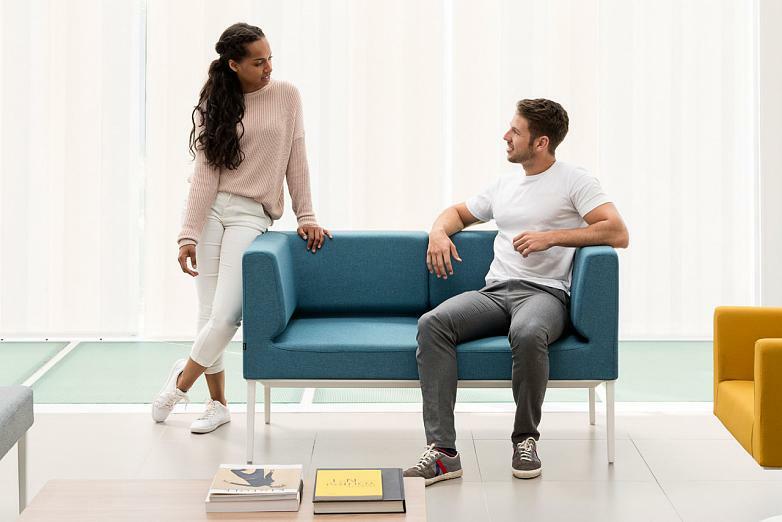 Both brighten up a meeting and socialisation space in a personalised way that could be found either in a leisure environment, work space or in our own home. These two softseating ranges are inspired by their users, where functionality, comfort and design coexist.